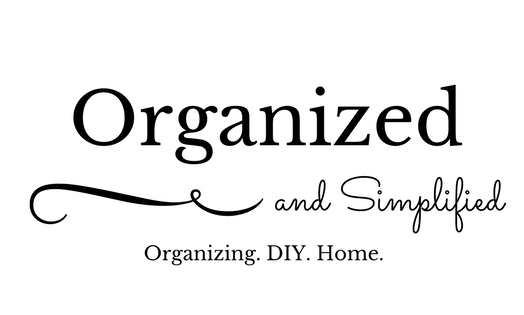 January 22, 2019 by organizednsimplified1 Comment on 21-Day Challenge: How we handle extraneous clutter! January 13, 2019 by organizednsimplified1 Comment on 21-Day Challenge Kickoff Day!! Do you know what day it is? It’s kickoff day for our annual 21-day organizing challenge! This week, I’ll be sharing my own cleaning and organizing challenges, as well as showing you my progress….and offering a few tips along the way. Remember, you don’t have to do an entire room or an entire dresser, closet or cabinet. You can focus on a small part of a room or closet, or even one shelf or some drawer. It’s completely up to you. I really need to tidy up our entry way and I’ll be sharing that tomorrow. I also need to pay some serious attention to the cabinets underneath our kitchen sink and the girls’ bathroom sink cabinet. Our pantry needs some work as well. The playroom just got purged and organized after Christmas, so it just needs to be straightened up. And lastly, our linen closet. It used to be so neat and now it’s in need of a serious straightening up. So, now you know what I’ll be sharing on the blog this week. Happy organizing, and don’t forget to share your progress on Instagram with the hashtag #ons21daychallenge. As the busy, working mother of an active rising second grader and a toddler, I often don’t have the time to clean that I need. Sometimes I look around at my house and worry about when I’m going to get everything done. In the past, I have cleaned my home on Saturdays, but then I realized my entire Saturday was being lost to cleaning! Then, we had no time to spend together as a family. The solution? Create a cleaning routine that enabled me to do a little cleaning each night. I found a neat cleaning schedule on Little Green Notebook. Our only solution was to wash and dry clothes every day, using the timer. I wake up, throw a loud of “ironables” in the washer, and they wash while we are getting ready. We then hang these clothes up to dry before we leave the house. I then throw our “dryables” into the washer and set the timer so that the washer will start shortly before I get home. I then don’t have to worry about the dryer running with no one at home. Washing and drying clothes every night also makes for smaller laundry loads, therefore, less to fold and iron. This cleaning schedule also means that we can do a little cleaning each day and have a house that both feels and looks a lot cleaner. The best advice I can give you is to find an idea you like and tweak it to make it work for you. Cleaning our house a little each night was the only way that would work for us. Plus, we have a lot more time to spend together on the weekends. Last week, I had spring break. While I wanted to get a lot of things accomplished, I also wanted to have some down time. I managed to get our garden plowed and some flowers planted. I also completed a whole house purge, where I went through our home room by room and got rid of many things we no longer need or use. I got rid of three stacks of old magazines. Many old DVDs and CDs we no longer use. A large pile of outgrown toys and duplicate toys. And about five bags of trash. To purge the house, I chose to donate anything we no longer needed or used, donate any outgrown toys or clothing, and throw away any broken or expired items. Living with less makes me feel less stressed and more relaxed. My house feels more cozy, too. Don’t forget to share your 21-day challenge pictures with the hashtag #21dayorganizingchallenge! Have a great day! Some of us have been elbow deep in our spring cleaning routine. Because I am a teacher, spring cleaning takes me a lot longer than most. I don’t enjoy losing my whole spring break to cleaning, so I have to stretch my spring cleaning out across several Saturdays and evenings. This means my projects are on a smaller scale than most, and the bigger things get saved until summer vacation. I came up with a 21-day challenge for those of us who work a lot, raise kids, and don’t have a ton of time to devote to spring cleaning. This 21-day challenge breaks your spring cleaning into smaller pieces, and enables you to go through your home room by room instead of tackling your whole house all at once. Even though it doesn’t say it on the graphic, I dust blinds, baseboards and clean behind and under furniture in each room as I cross it off the list. Another option is to organize only a small part of each room on the list, and then repeat the challenge for 21 more days and finish the rooms. You have a lot of flexibility. I would love for you to participate along with us and share your before and after pictures on social media. Please use the hashtag #21dayorganizingchallenge. Happy organizing! Have a wonderful weekend.